All SCOTTSDALE RANCH 4 LOT 1- homes currently listed for sale in Scottsdale as of 04/25/2019 are shown below. You can change the search criteria at any time by pressing the 'Change Search' button below. 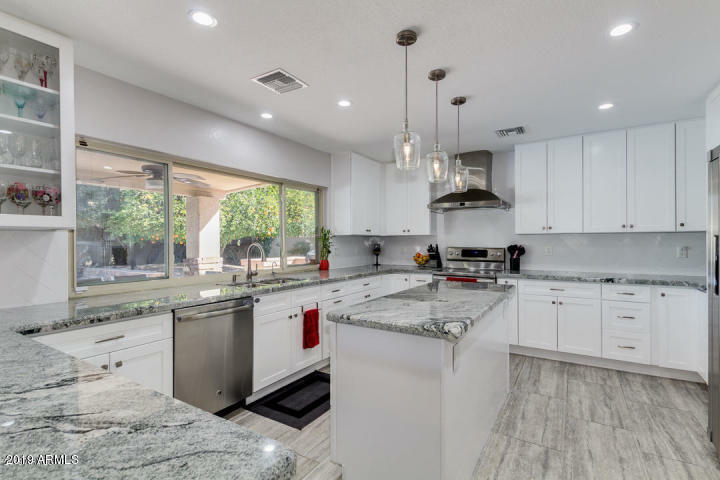 "Gorgeous, updated home with private, resort-like yard in the highly sought after community of Andalusia I in Scottsdale Ranch. Home boasts 4 bedrooms, 2.5 bathrooms, 3 car garage and a ton of extra storage. Spacious master bedroom is on the first floor and has a sitting area with a cozy fire place and an exit to serene private patio. There is also a large bonus room upstairs with french doors opening to a large patio with gorgeous mountain views. Backyard is a lush oasis including diving pool wi"